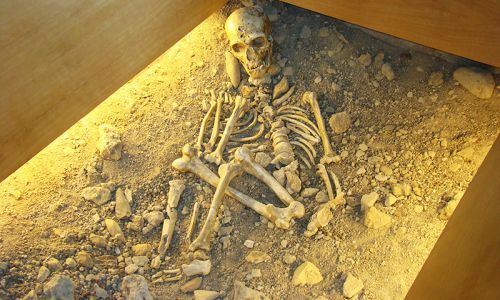 On the 3rd of August 1908, the 3 Bouyssonie brothers discovered the first complete skeleton of a Neanderthal man and the first burial site. 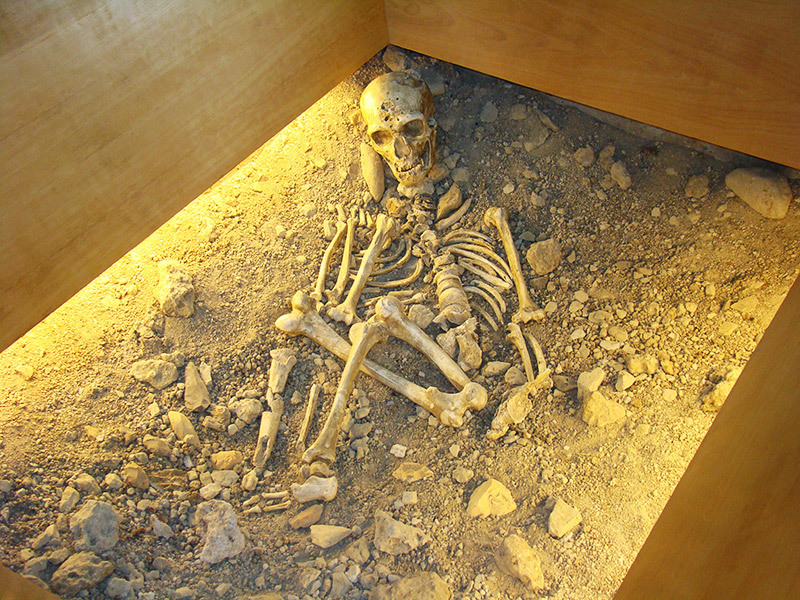 The remains are first studied by Marcellin Boule from the National Museum of Natural History; he described this man as the missing link between man and ape. The skeleton is studied again in 1984 by Jean Louis Heim; he proved that Neanderthal men were more clever than what was thought before. The diggings which had stopped after 1908 started again in 1999. Many campaigns took place between 1999 and 2012 under the direction of Thierry Bismuth, then Cedric Beauval and William Rendu. The man from la chapelle aux Saints is known all around the world and is a reference for the scientific community.